Trust&Co is the leading advisor in middle market M&A and Structured Finance in the South of Brazil. Expertise in corporate finance, strategic planning, funding and complex negociations. "Business, like life, demands truth and trust. Without truth people can't work effectively. Without trust, people can't work efficiently." Trust&Co is an independent advisory company with over R$ 2 bn in transactions. 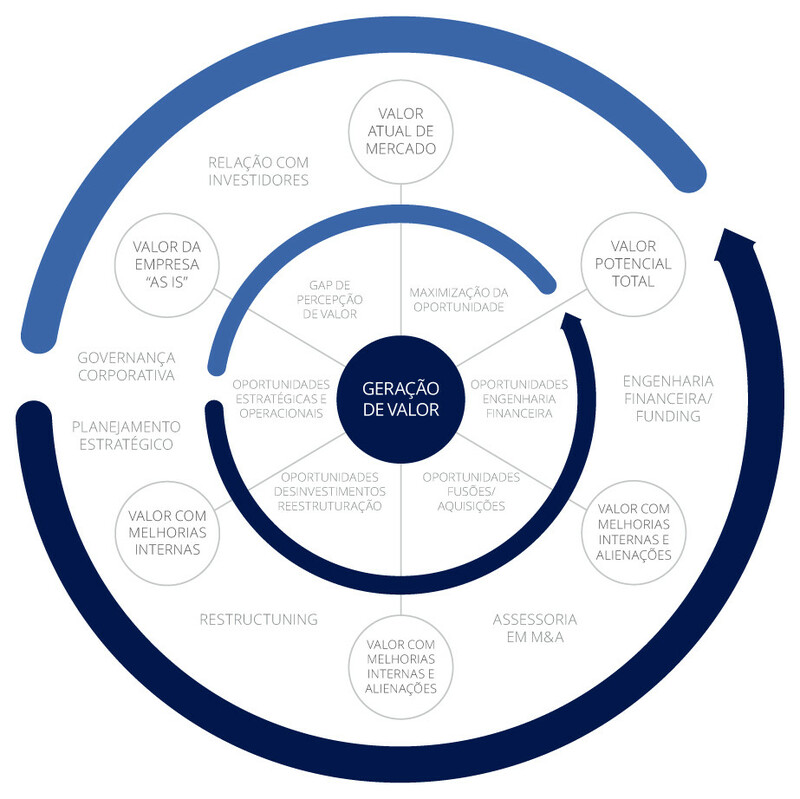 Founded in 2008 by executives with great M&A experience, Trust&Co has becoming market reference in Rio Grande do Sul. The high specialization and experience level of its team are what makes Trust&to be a differentiated company, gaining more and more its place in the competitive M&A market. Trust & Co seeks to be that trusted advisor that you can count on during important moments. Our main goal is to accompany our clients during the strategic cycle, offering solutions for each phase. and develop a structured cycle of actions to ensure the success of the company's strategy. but that are of extreme importance for the defined strategy.